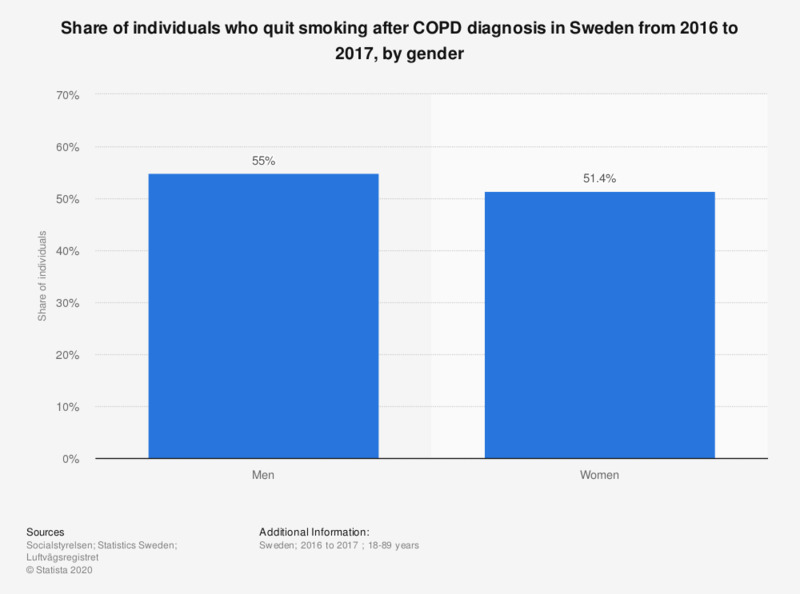 This statistic shows the share of patients who quit smoking after being diagnosed with COPD in Sweden from 2016 to 2017, by gender. A higher share of men than women quit smoking after being diagnosed with COPD. The share of men amounted to 55 percent while the share of women amounted to 51.4 percent.